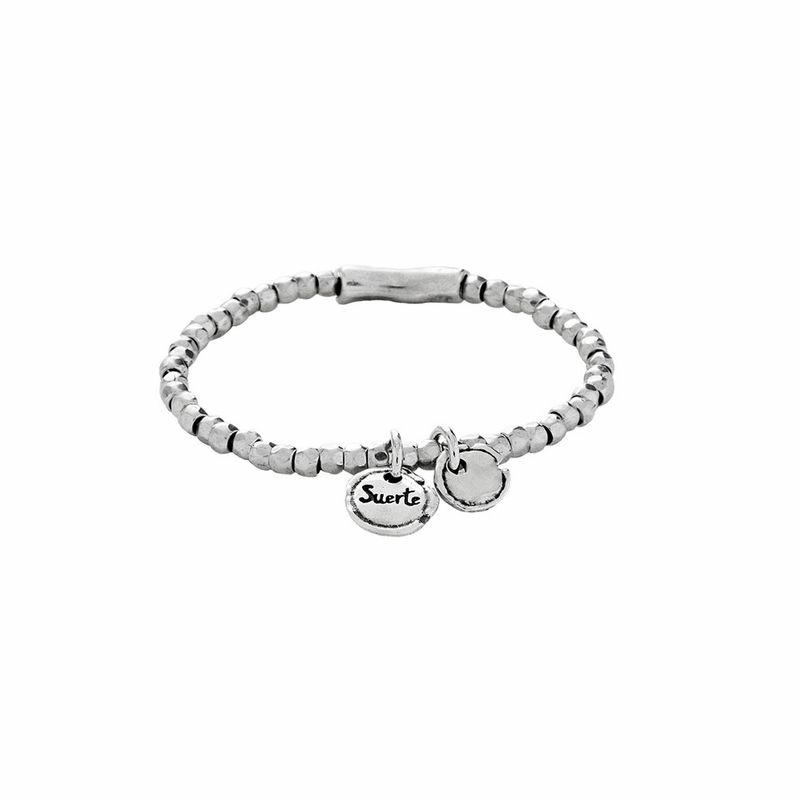 A bracelet of silver-plated irregularly-shaped beads strung on an elastic base. 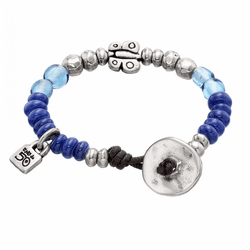 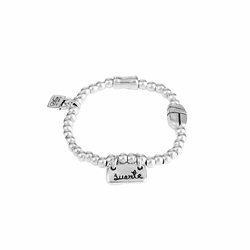 They are accompanied charms, with the word "Suerte" (Luck) engraved on one of them. 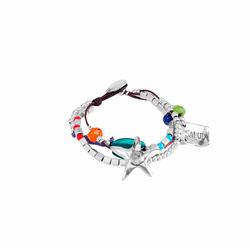 This jewel by UNOde50 is handmade and Made in Spain.